The Rebel Sweetheart. : Looking Professional in Restaurant Uniforms. People who own and operate their own restaurants typically want their wait staff and chefs to look and act professional at all times during their shifts. If employees show up to work in tee shirts and jeans, they lack the uniformity and cohesiveness that go into staffing a professional eatery. Rather than let their employees work in street clothing, restaurant owners can learn more about why they should order uniforms for their wait and kitchen staff. 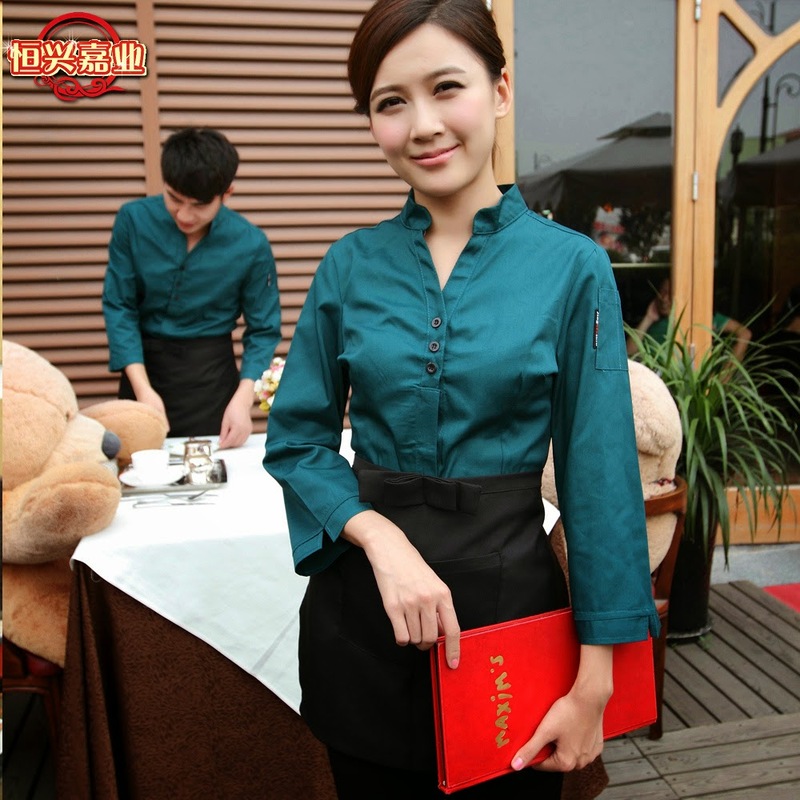 They can order uniforms that reflect the atmosphere and professionalism of their eatery online. The type of uniform that people choose to order can depend on what kind of restaurant they are running. If their establishment specializes in southern cooking, these owners may prefer that their staff wear checked aprons and white shirts. However, if a person is operating a French cafe, that person may wish the staff to wear blue or red shirts and pants to reflect the national colors of that country. Along with considering the variety of uniforms that are available online, owners can also consider accessories for their hosts and hostesses. People who walk into a restaurant are often greeted at the door by a host or hostess. The appearance of this greeter can set the tone of these customers' overall dining experience. When owners want their guests to recognize the comfort level and professionalism of the establishment, they may outfit their host employees with ascots, scarves, and other accessories that set them apart from the other staff members there. More owners should take the look of their employees seriously. Nothing says poor quality than a waitress in dirty jeans and a t-shirt. Those are some great uniforms. Makes the kitchen look more professional and clean. I really like the wait staff uniform. Very classy looking. Those uniforms look really great, and definitely make those wearing them look very professional. Very put-together. I like uniforms. Easy to tell who the staff is an it looks more professional.